At last night's meeting in Marple Library it was decided to set up a Neighbourhood Forum to take forward a Neighbourhood Plan for Marple. This follows the recent Neighbourhood Plan action week where we engaged with 500 residents. We arranged an exhibition in Marple library, held three public meetings and leafleted 5,000 households and businesses. The result last night is good news indeed and all present were keen to progress the plan. Forum members were identified and a management committee and executive positions appointed. The civic society has been clear from the outset that it would facilitate setting up a Neighbourhood Forum, but it would then be community-led not civic society led. We are pleased that David Ackroyd agreed to take on the role of interim chairman until such time as it is appropriate to hold an election. 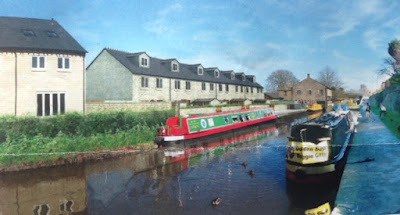 8th June 2016 (Open Forum meeting on the subject of "Schools and School organisation in Marple"
The civic society, together with Cllr Ingham and a local architect, met Canal & River Trust in May 2015 and presented an integrated mixed-use scheme for Marple Wharf to include residential, commercial and community use. This was rejected by CRT in favour of their own scheme for a row of 7 houses. The civic society is pleased that CRT's current proposal includes a mooring for New Horizons Trip Boat and a new boating facility block. We are also pleased that the Toll House will become a facility for community/CRT volunteer use. 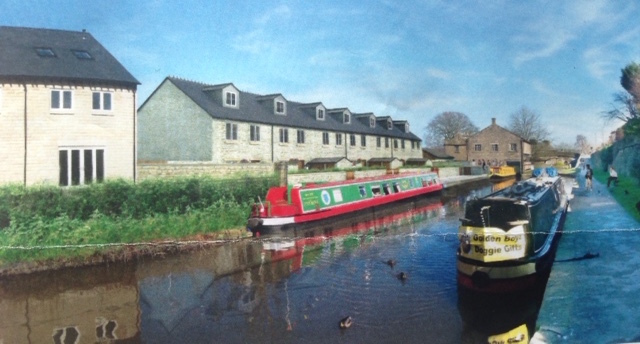 The civic society has recently been working with CRT and H2O to secure a sustainable future for the warehouse building at Marple Wharf. We are pleased that the whole of the Grade II-listed stone warehouse is being considered for community/public space to be run by a Community Interest Company (CIC) and leased from H2O Urban on a commercial basis. We are currently working with Stockport Council and H2O Urban on how this might operate. CRT/H2O Urban have issued a newsletter outlining their development scheme. No further public consultation will take place by CRT/H2O Urban and they plan to submit a planning application to Stockport Council very soon. 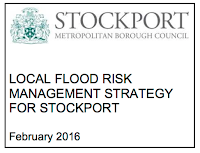 Under the Flood and Water Management Act (2010) Stockport MBC became responsible for managing local flood risk. The act placed a duty on SMBC to "develop, maintain and apply" a Flood Risk Management Strategy. A first draft of that strategy has been prepared and put out to consultation. 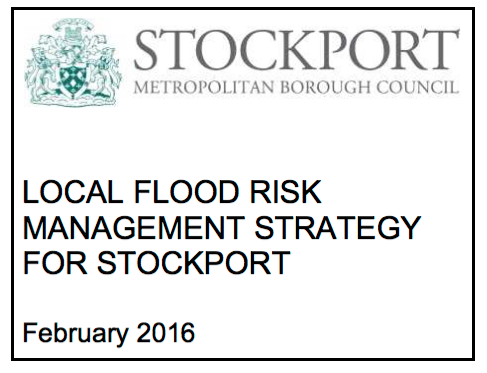 The strategy identifies local flood risks in Stockport including several in Marple. 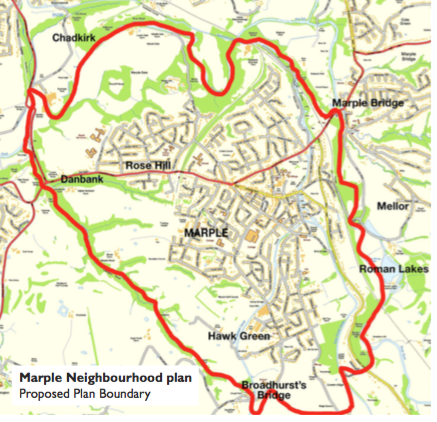 A future Neighbourhood Plan for Marple will need to take account of the strategy in its planning policies. The Civic Society supports the strategy and has responded accordingly noting, however, that the consultation period of two weeks was insufficient and more and better publicity is required for a strategy of such local importance. 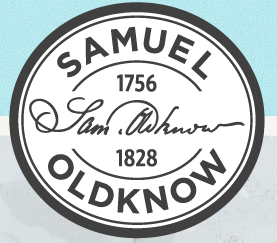 The 'Revealing Oldknow's Legacy' April dig is set to excavate Oldknow's mansion house, Mellor Lodge, and tickets are still available. The project is always looking for volunteers so if you can't make the April dig but would still like to have a go at excavating, gardening or landscaping at Mellor Mill, you can join other volunteers with Bob Humphrey-Taylor most weekends. Marple Civic Society was part of the management team when the Heritage Lottery Bid was put together and supports all aspects of this exciting three year heritage project.